Samsung has launched a new budget android phone in Taiwan and Austria , the Galaxy Core Plus +G350 (Taiwan) and known as G3500 in Austria . The handset is officially listed on the company’s website. The Core+ G350 is priced at 7,990 Taiwan dollars. The phone is powered by Dual core processor paired with 1GB of RAM. It is a DUAL SIM phone and has 4.3inch WVGA resolution display. Apart from the standard features it also comes with NFC connectivity. On Samsung Austria website the RAM of the phone is mentioned as 6GB, which seems to be a typing mistake. There is no word to say about its availability and launch date in other countries. 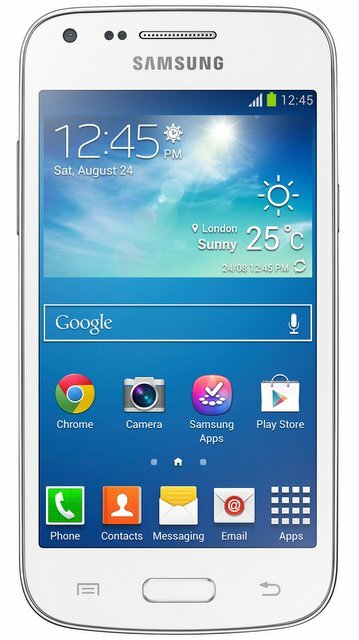 However the Galaxy-Core Plus + G350 would be available in India by December end or next Year.